Over the next couple weeks, there will be many prognosticators attempting the handicap the 2017 Western States 100 field. I am certainly one of them! This year, I have decided to simply write out who I think will be the top-10 finishers for both the women and the men at this year’s big dance. Now, as is the case every year, I am sure there will be some surprises but this year’s women’s field is arguably the most competitive in the history of the race and it will be a blast to see how it all goes down. In order from 10th to 1st, here are my predictions for top-10 women at Western States. 10th place – Amanda Basham – After an impressive fourth-place finish in 2016 which included a surge from eighth to fourth in the last 20 miles, Amanda has had a steady season of racing thus far. That said, she is coming into the race a little banged up and perhaps a tad tired. As such, I see her rolling into that cherished F10 spot just in the nick of time. Ninth place – Maggie Guterl – F8 in 2016, Maggie proved that she is one of the smart girls in this field. With her pedigree in 24-hour races and her steady training regimen, I know Maggie will be focused and ready and the tougher the conditions the better for this Pennsylvanian. I see her running controlled and steady all day before making an assertive move after the river crossing to reel in the carnage and snag another top-10 spot. Eighth place – Meghan Laws (née Arbogast) – What else is there to say about The Queen? Fifty-six years old and still going strong, you can never count Meghan out. Sixth place last year with an impeccably paced race, I see Meghan doing much the same this time around, in her 11th time at the race. She’ll run easy in the high country, steadily through the canyons, and evenly toward the end to pull into F8 and punch her ticket for her 12th run in 2018. Seventh place – Jackie Merritt – One of only two ‘rookies’ on my list, Jackie comes into Western States on a roll. After winning and setting the course record at Pinhoti 100 Mile last November, Jackie snagged a Golden Ticket in April at the relentlessly difficult, 72-mile Georgia Death Race and a few weeks later went on to win the Ice Age 50k outright. Smart beyond her years, Jackie will keep things under wraps for much of the first 12 hours before unleashing her impressive downhill speed on Cal Street and closing hard for F7. Sixth place – Camille Herron – It’s hard to say what exactly Camille will do at Western States after impressing the ultra world with her recent win at the Comrades Marathon. Certainly one of the pure speedsters in the race, Camille does, at times, struggle on the trails. That said, she has worked on her technical skills over the past few years and it’s hard to see her not finding her way into the top 10. Fifth place –YiOu Wang – Another one of the speedsters in the field, YiOu ran hard off the gun in 2016 before fading after Michigan Bluff and finishing 12th. Since then, she has focused on endurance and as a result of her impressive win at Lake Sonoma 50 Mile, punched her ticket to the big dance. I have to believe that along with Camille, YiOu will be one of the early pacesetters through the high country and into the canyons and, with a year of hard training and experience under her belt, will find herself in the top five come Placer High School. Fourth place – Amy Sproston – Second place in 2016 and, over the years, one of the most consistent performers at Western States, Amy should never be overlooked here. Always one to run her own race and compete within herself, Amy will undoubtedly remain steady and controlled regardless of what the rest of the field does. Her understanding of the race course and her ability to adapt to the conditions make her one of the safest top-10 bets on this list. Third place – Stephanie Howe Violett – The first of three previous champions on this list, this 2014 Western States winner is back after a year away, a major surgery, and an outright win at the Bandera 100k in January. Third in 2015, Stephanie has enjoyed her steadiest training block to date since February and she is certainly coming into the race calm, focused, and peaking. She is likely to be in the mix for the win from start to finish. Second place – Magda Boulet – After succumbing to illness early in the 2016 race, Magda was determined to get back to the big dance, the race she won in 2015. By virtue of her second-place finish at Lake Sonoma, she punched her ticket and has been focused on her return ever since. Along with YiOu and Camille, Magda is one of the pure speedsters in the race. Add to that her experience as a previous champion and you have the makings of a good old-fashioned showdown at the front of the women’s pack. First place – Kaci Lickteig – The last time a woman successfully defended her title at Western States was five years ago in 2012 when Ellie Greenwood won and set the course record. Since then, four different women have won the race–Kaci last year, Magda the year before, Stephanie the year before that, and Pam Smith in 2013. I believe this is the year we have a repeat winner as Kaci has the experience, drive, course knowledge, and passion to get it done. For sure it will not be easy and will likely take another sub-18-hour run, but it seems to me that Kaci is poised and perfectly positioned to do so. If she runs controlled early, picks away at the field in the middle of the day, and stretches out her legs on Cal Street, it will take a monumental effort to defeat her. This week’s Beer of the Week comes from the Bristol Brewing Company in Colorado Springs, Colorado. 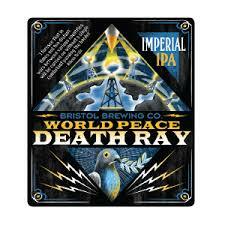 I found myself out there over the Memorial Day holiday and Jason Koop turned me on to their World Peace Deathray. In addition to having an amazingly ironic name, WPDR is also a profoundly delicious Imperial IPA done up in true Front Range style. Eight percent ABV and 90 IBUs, this beer hearkens me back to the early craft-brew days of the 1990s when brewers made mistakes and the outcomes were awesome. Next time you roll through the Springs, be sure to stop by Bristol. Okay, okay, armchair ultra prognostication time, who are your predictions for the women’s top 10 this year and why? Great lineup AJW! Here are two first-time female WS runners I’ll be rooting for, who might squeak into 10th or finish awfully close: Stephanie Case and Jess Mullen. I’m guessing Cat Bradley might be a surprise entry to your top 10. With two 100 mile wins on courses that overlap part of WS it would be hard to overlook her local experience and success. 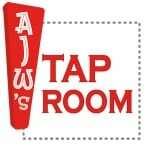 But will AJW be there to call her name? Too soon…? Let’s hope the volunteers at this race are able to provide what she’s entitled to. I’m also going to throw in Emily Harrison Torrence! She has a solid build up and is running great. She’s primed for a great WS! Super excited for this one. I agree with AJ that Kaci will be hard to beat, but it’ll be fun to watch Magda and Stephanie chase her. Such a great line-up of women – I’d keep eyes out for Cat Bradley and Clare Gallagher as well. Cat’s performance at Canyons 100k was bonkers. Another vote for Andrea huser on the podium. Clearly the strongest runner in this years race. This is gonna fire YiOu up – YiOu FTW! Clare Gallagher too! 2016 Leadville champ. +1!! Clare is a BEAST. I think she’s going to do great things! So exciting to see what happens!! I love Andrea huser to bits – we’ve raced ‘together’ (ahem, on the same course) in Madeira, transvulcania and the Maxi Race already this year. She’s incredibly strong, but best on hilly/brutal courses. We’ve both lamented about how this race is a bit too ‘flat’ and fast to really do well in (I mean mainly for her – I’ll be happy finishing anywhere in the pack!). Switzerland breeds mountain goats! In that respect, it’ll be tough for Andrea, but she will for sure still be up there, hopefully top five! I’m cheering for Amy, Kaci and Camille! Stoked to meet the others! I’ll be watching Mallory Richard, who’s won Superior Sawtooth 100 for 3 years in a row, won this year’s Ice Age 50, and was overall winner at the 2015 Black Hills 100. You forgot to mention she’s the record-holder at Superior too. The women’s line up this year is nuts. I’ll be lucky to squeeze into top 10 considering how best up I am, but Clare Gallagher, Cat Bradley and Andrea Huser should definitely be on this list!